For superior interior and exterior painting services in Greenwich, Connecticut, R&F Paint Corp. provides professional results and quality service. Whether your property is residential or commercial, R&F Paint Corp. can make it look as great as it should. We've been in business since 1954, making Westchester county (New York) and Fairfield county (Connecticut) homes and businesses look great. Just because you grew up with white walls, doesn't mean you have to stick with them. These days, the new neutral palette offers a fresh take on home decorating. From neutral to bold, we can help you choose the perfect paint color to enhance the architectural style of your home and that expresses your personal style. 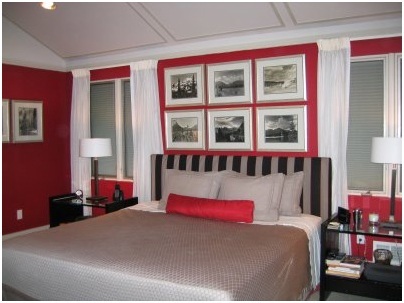 R&F Paint Corp. has been professionally painting in Greenwich, CT since 1954. Call (914) 709-7609 to discuss your Greenwich painting project. We'll make your home the envy of the neighborhood. Guaranteed. A quality paint job is only as good as the surface it's painted on and the quality of the paint. We start by making sure your surface is clean and free of all nicks, scratches, dings, gouges, and cracks. We plaster and sand as necessary to ensure that your walls are smooth as silk. R&F Paint Corp. takes care to protect all surfaces prior to painting. We exclusively use premium primer and paint to give your walls even coverage that will last for years to come. Call (914) 709-7609 to discuss your Greenwich interior or Greenwich exterior painting job. Enhance your curb appeal with a professional Greenwich exterior paint job by the painting experts at R&F Paint Corp. Enhance the value of your home with a top-notch Greenwich interior paint job. Enhance the quality of your life by investing in your Greenwich property. All is takes is a fresh coat of paint, expertly applied by R&F Paint Corp. Call (914) 709-7609 to find out how.